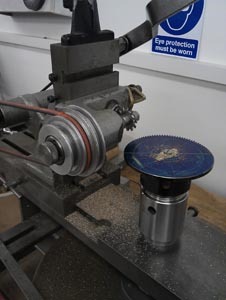 My view has not changed, I am going to make a new wheel, largely on safety grounds, but hope to attempt a repair on the old one later. 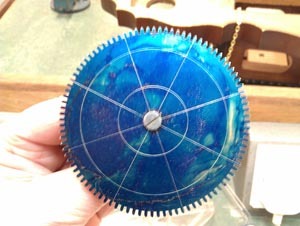 So last week the new wheel blank was blued, marked out, mounted on an arbor, turned to size, and then mounted on the wheel cutting engine to have the 96 teeth cut. 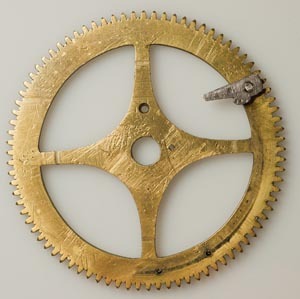 Calculations suggested a cutter of 0.85M for a wheel of this size (84mm diameter) and 96 teeth, but the slightly smaller 0.80M was a better fit between the teeth of the old wheel – 0.85M was a tight fit and I was concerned that the teeth may be cut too thin. 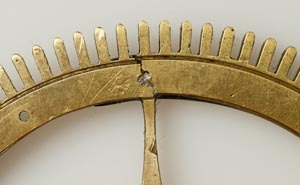 The wheel with all 96 teeth cut. It took 1 hr 20 mins to carefully cut all the teeth with slow hand feed. I will bore and broach the barrel arbor hole next before cutting the crossings. I have been a little concerned about the condition of the great wheel on the going train barrel. 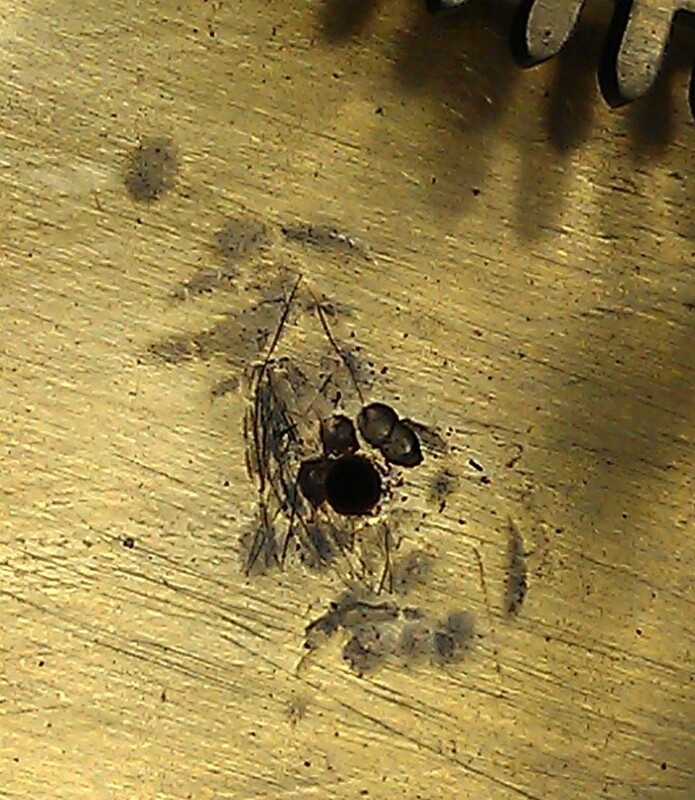 This wheel had broken at some time in the past and had been soft-soldered together. 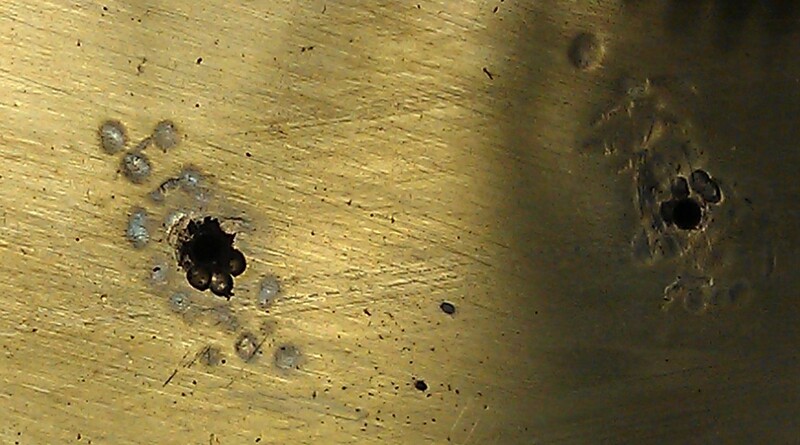 As I was bushing the central arbor hole it became obvious that the wheel was not flat, nor was it truly circular. 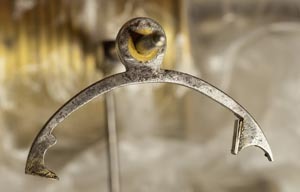 This wheel is subject to great stress as it carries the weight hanging from its barrel. 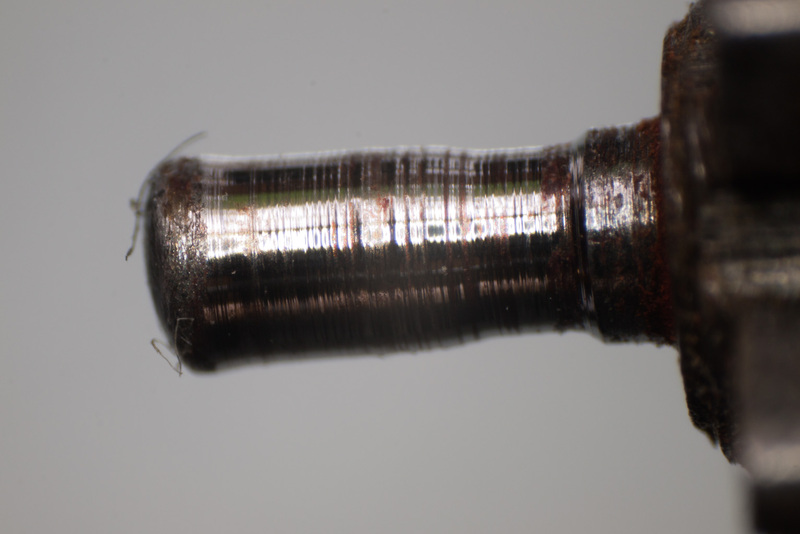 I consulted with my colleagues at EFHC and I also posted a query to the NAWCC discussion forum regarding the best way to repair this wheel. 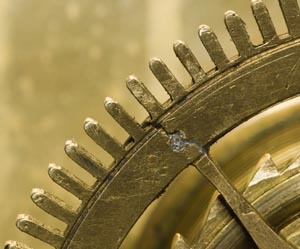 The almost unanimous view was that it would be too risky to try a repair, and for safety’s sake a new wheel should be cut. 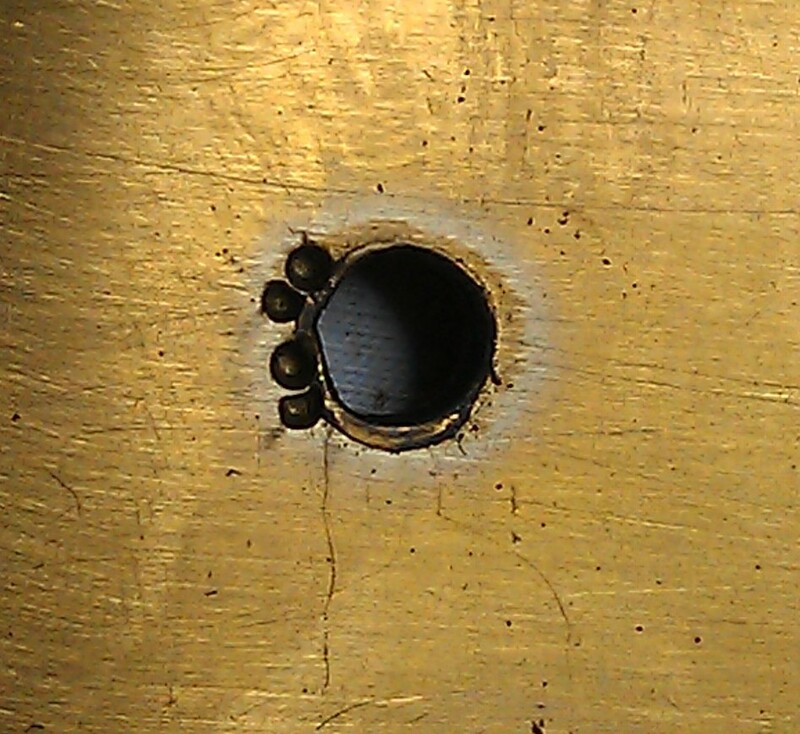 I’ve now cut a wheel blank from 1/8 in CZ120 brass and I’ll shortly be marking out the wheel and cutting the teeth. 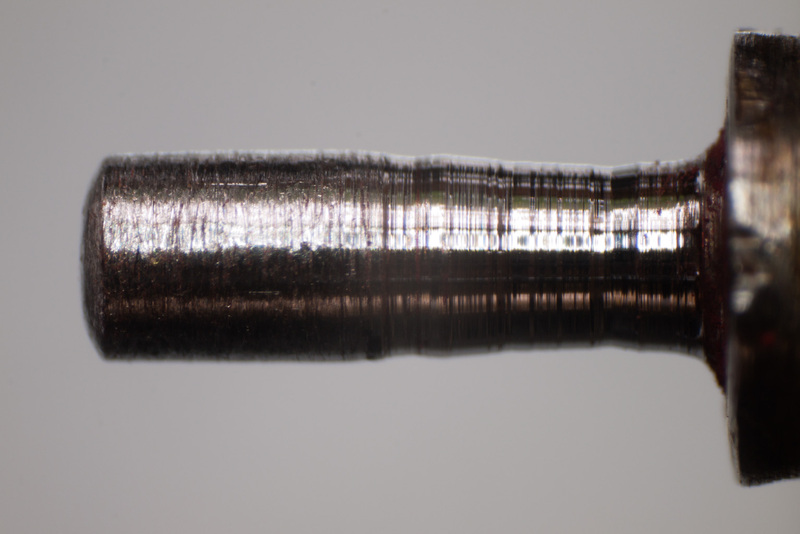 I will make the spokes a little wider for strength, and I will also add a thicker portion where the click will be attached. 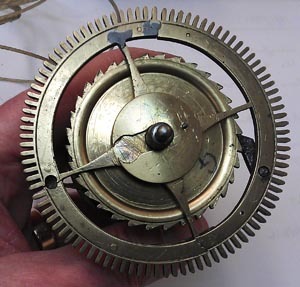 Parts 1 and 2 of this series looked at the faults found in a c1785 long case clock movement. Now I start on the repair. Before any work could be done on the bushes in the plates I needed to repair the barrels and great wheels. 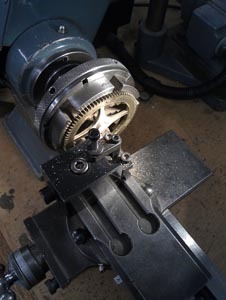 Here is the strike barrel great wheel mounted in a six-jaw chuck on a Schaublin lathe. 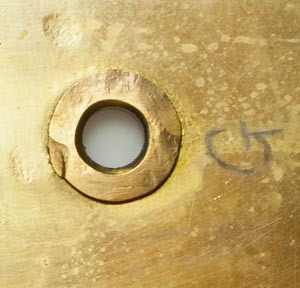 It’s been bored out true, a brass rod has been turned to a press fit into the hole to form a bush, and the bush is being skimmed back to the wheel thickness prior to centering, drilling and broaching the correct size hole for the barrel arbor. 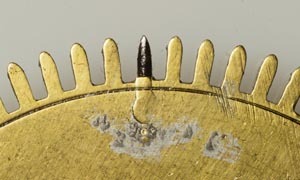 In part 1 I started to look at a long case clock with a broken click spring on the strike barrel. 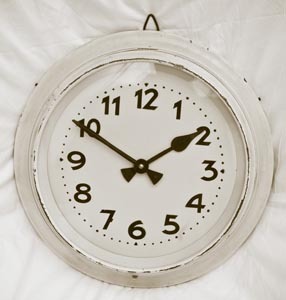 Here I dismantle the clock and find a number of faults that need to be attended to! 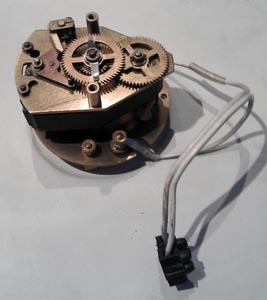 The first view above shows the mechanism with hands, dial and false plate removed, the second with the strike parts removed, together with the bridge and motion work. 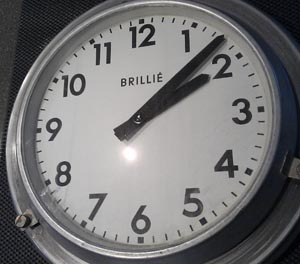 We can start to see some of the clock’s history now! 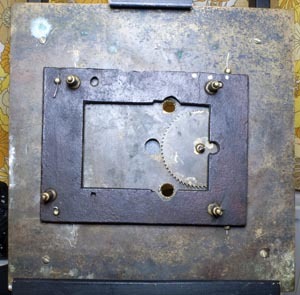 Most, if not all, of the parts of the clock have been repaired at some stage. Every one (yes, every one!) 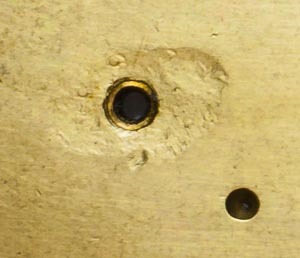 of the pivot holes in both front and rear plates has been bushed, and nearly all are worn to the stage where they require to be renewed. 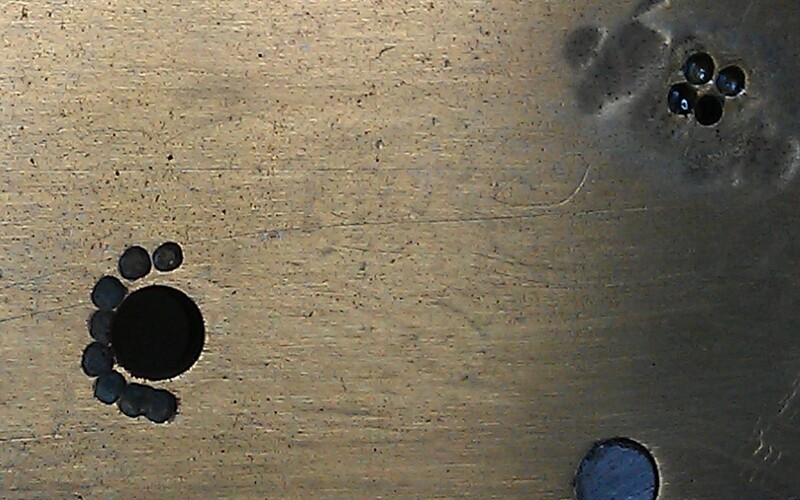 The plates have been extensively hammered to try to close the holes, and even the winding arbor bushes, “top-hat” style, have been struck. 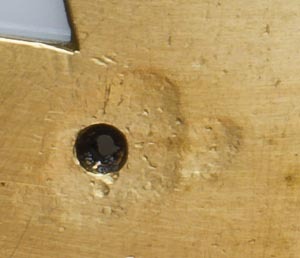 The great wheel on the strike barrel (above left) is not original, and the great wheel on the going barrel (above right) has been extensively repaired, having been broken into three pieces at some stage. Note the big difference in length of teeth between the two wheels. 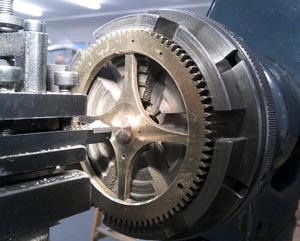 In both cases there was too much clearance at the wheel centre on the arbor, and this is affecting the depthing with the next pinion. 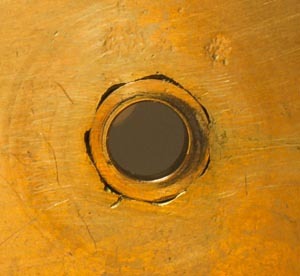 The domed brass retaining washers which hold the great wheels to the barrel but allow it to turn (shown above right) had lost most of their spring and were ineffective. 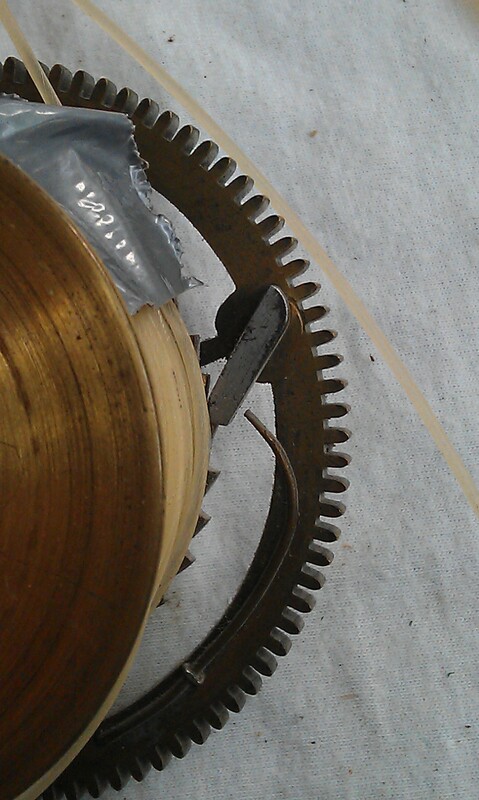 Here are close-ups of the repairs to the going train great wheel; note the inserted tooth, and the misalignment of the rim! 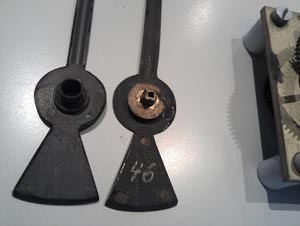 Here are further photos of parts of the mechanism that have been repaired at some time in the past. 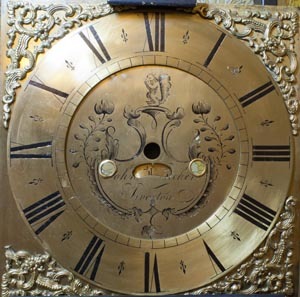 A telephone caller asked if I could look at a long case clock. 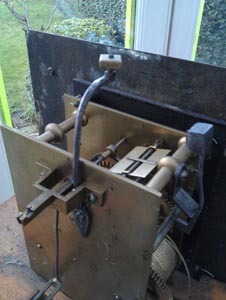 When winding it the strike mechanism weight had fallen to the bottom of the case. 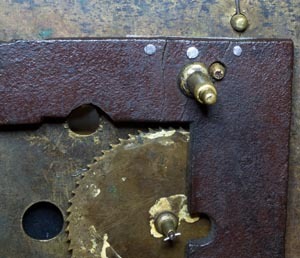 I suspected a broken gut or chain, but when I had a look at the clock the gut was intact. 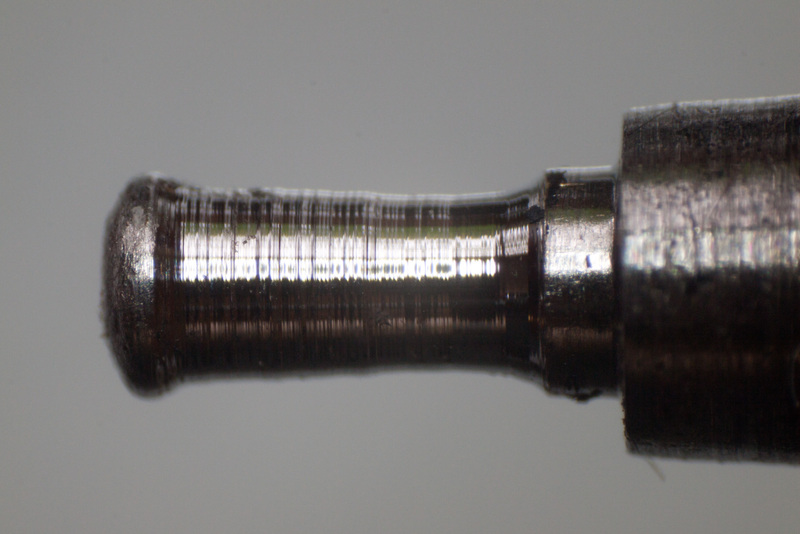 However, the click spring on the strike barrel appeared to have broken and was no longer holding the click in place – that would explain why the weight had fallen. 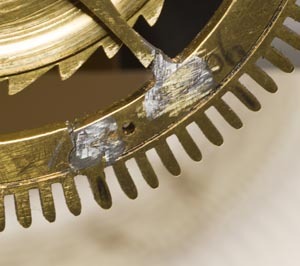 I initially hoped to be able to replace the click spring without taking the clock away, but there was limited clearance between the great wheel, barrel and a pillar and I couldn’t reach it properly. 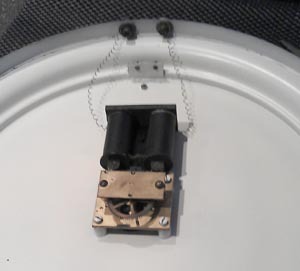 So hood, weights and pendulum were taken off, and the mechanism was free to lift out. 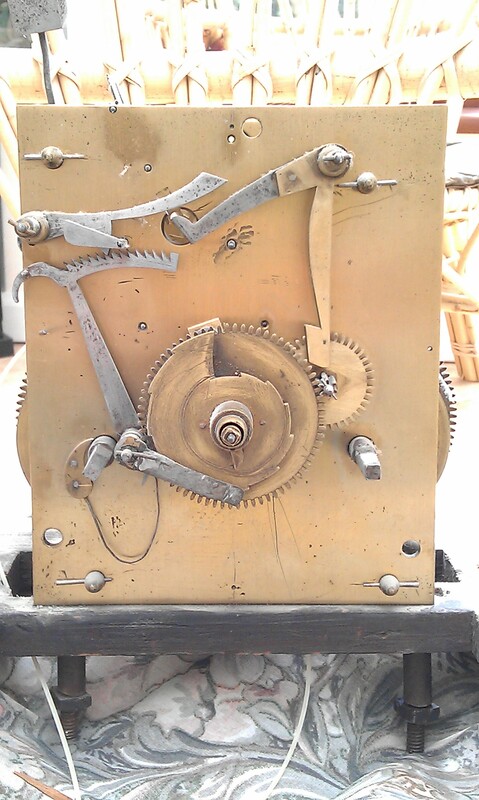 The first view above is the mechanism from the rear, the second is the dial with the hands removed. 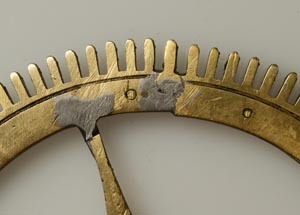 It’s very soon apparent that the clock is a marriage of dial and mechanism; between the front clock plate and the dial is a cast iron false plate, normally associated with painted dials, whereas this dial is brass. 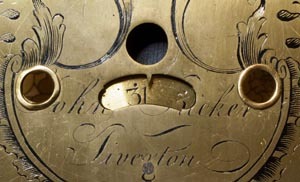 A closer view shows how the brass dial has been modified to fit the mechanism; the winding holes and date slot have been cut through the maker’s name, and under the “r” of Tiverton can be seen the pivot for the date wheel. 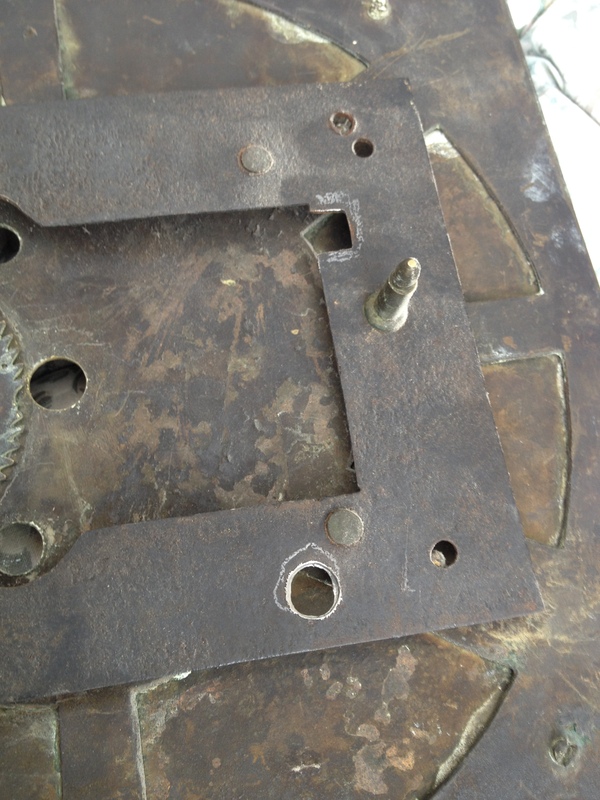 The next view is of the false plate from the mechanism side. 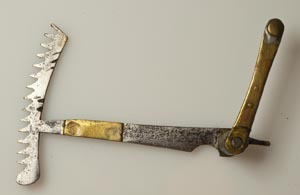 A close-up of one corner shows that the false plate is broken into several pieces and has been plated and riveted. 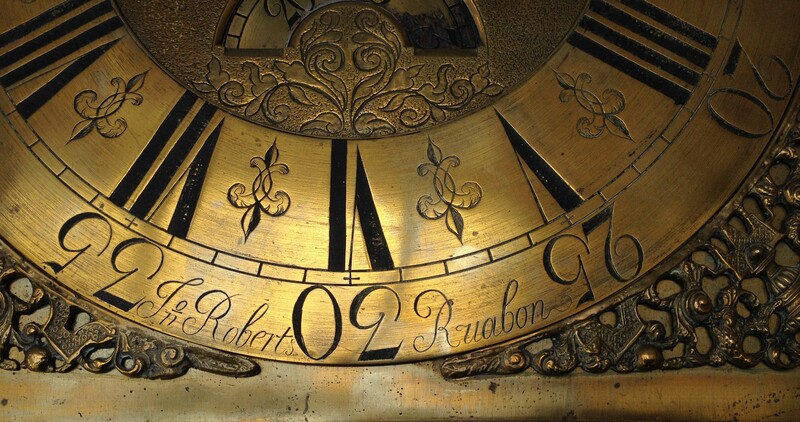 My guess would be that the clock has fallen over at some time and the original painted dial was smashed. 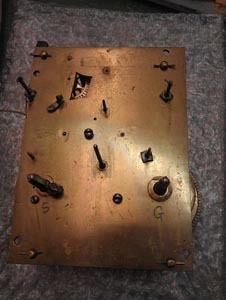 The false plate was repaired and a brass dial was modified to fit. 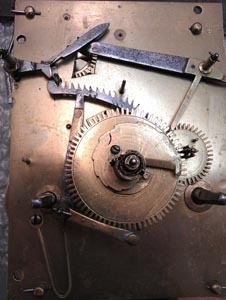 A quick search of the literature suggested that several features of the mechanism would date the clock to around 1785, so I guess it’s showing its age and history.